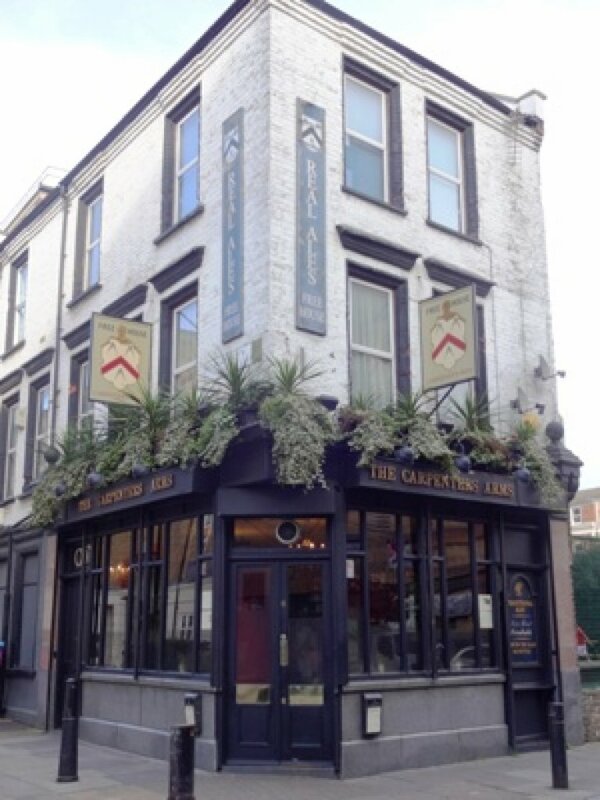 Like the Royal Oak, this pub is neither a listed building nor on the London Regional Inventory. However, it does retain separate rooms. The Carpenters Arms featured on the Breweries and Markets Past and Present: Evening Crawl of Shoreditch, Bethnal Green and Spitalfields in December 2009.